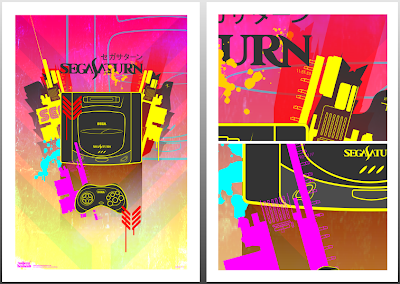 I just love pop art, and here we have SEGA POP ART!!! It's lovely!! Good find! Heh well thanks. Sure I could come up with something. What kind of artwork do you need / want? Any size restrictions? Hi Hex! i'm a great lover of Pop Art too! And yes! Saturn Pop Art is perhaps the epitome of everything I could hope for! Mr. Elend! (Herr Elend!) Anything you would be prepared to do for this humble little blog would be massively and hugely appreciated! But anything you could do for us over here would be vastly appreciated! Did you read the earlier replies? We're looking for you to be a bonafide contributor to this site Mr. Elend! Part of the SJY team! I'm excited at the prospect! respond as soon as you get this message! And thank you a thousand times! Testing my new account... 1..2..3! OOOHHH!! Nice Avatar! Good to have you aboard!